Few things happen in life that opens your eyes to the incredible possibility of how things could be rather than simply how they are. I saw something last night that was both remarkable and transformational. The Scriptures speak of the future Kingdom of God, but we caught a glimpse of that when 40+ people gathered to celebrate the launch of the first major initiative for Kyleigh’s Gift. All babies born at Liberty Hospital will now receive a Halo sleep sack to promote safe sleeping habits. This is a product created by an engineer who likewise lost an infant. He designed a product to help babies stay on their backs, and we have partnered with a community to put this tool into the hands of all families leaving the hospital. 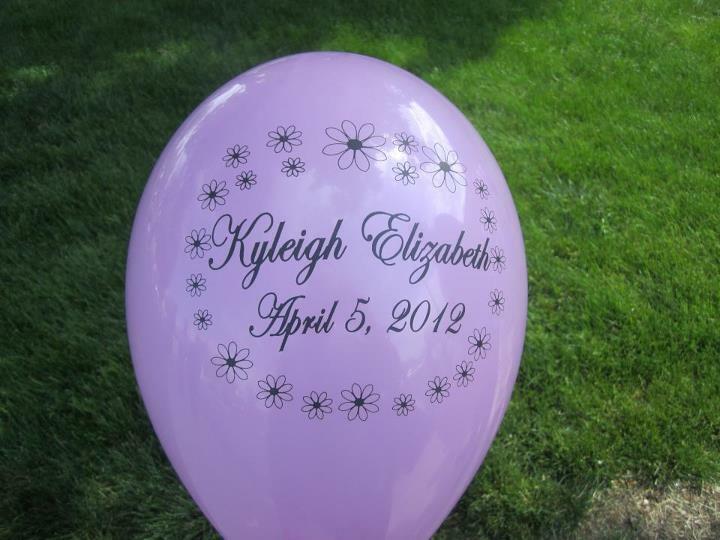 This is a great way to remember and celebrate Kyleigh as her second birthday approaches, but it’s also so much more than that. This eye-opening experience is what it’s about today. For a Christian, this happens at the time of re-birth. I think it also happens when the Spirit illuminates and moves us to see the world differently. Much like putting glasses on, things become clearer, or as if focus on a single goal or objective is achieved and the pathway becomes bright. It’s the opposite of walking through a lush forest with barley a clearing to lead you the next 10 feet, but glowing step stones that lead you safely across the river. So it was for me last night looking out at the faces of people that gathered to celebrate the launch of a community initiative…all bearing Kyleigh’s name. This is remarkable because we have never celebrated a member of the family as we have and do for Kyleigh. She has proved so be quite the catalyst. The need was there and the community was willing, we all just needed something to mobilize everyone to act. She provides that motivation, and that makes her a change agent. Nearly two years have passed, but more people know her story now and all families at Liberty Hospital will now receive a card with their sleep sacks introducing her to their families as well. People are better off today than they were before she was born, and they will be better still in the years ahead as the momentum continues. God only knows what the future holds, but it’s certainly true that with him all things are possible (Matthew 19:26). So once again I find myself in the wake of an eye-opening experience. I have seen both friendly and unfamiliar faces unite under Kyleigh’s name to make their world a better place. I have seen the Church (even if it didn’t know that it was the Church), combine to focus and achieve a goal. For certain, there is still much work to do to make the effort succeed, but I have no doubt that it will. We are a blessed family. More so today than we were yesterday and we will continue to be as we honor Kyleigh and glorify our God. First we need to say thank you to everyone in attendance tonight. I know that for many people, this is quite a drive and we’re thankful that everyone took the time to come out and celebrate with us. There are a few other people that Leann and I would like to recognize that have helped us over these past two years that without which, we simply wouldn’t be here. The Liberty Hospital Foundation continues to help in so many ways and it’s truly remarkable. We have said to ourselves many times that having an organization like this to partner with to manage resources, logistics and provide insight has been a real blessing. We need to recognize Cathy Bonderer for providing the idea to send a sleep sack home with every newborn, and for working with Halo to bring sleep sacks bearing Kyleigh’s name to the birthing center. We learned of the concept almost a year ago just one week before her first birthday and starting tomorrow, every parent leaving this building will be equipped with one more tool to help them care for their babies while they sleep. For us, that’s a powerful way to honor and remember Kyleigh especially now that we’re just weeks away from her second birthday. There’s an account in 2nd Kings Chapter 6 of a man of God [Elisha] and his servant surrounded by an army of horses and chariots that had enveloped them during the night. They awoke in the morning to find themselves facing insurmountable odds and his servant was afraid. Almost two years ago we felt like that too. We know what’s it’s like to wake up in the valley of the shadow of death as do many others in this room. We look around this room and see people with big hearts. We see people that are unwilling to leave the world just as they find it, but rather those that are committed to using their time and resources to make a difference. These sleep sacks are one very real and tangible way for us to do just that. Every child now gets a sleep sack and if just one family is saved by these efforts, then it’s all worth it. And the best part is, we will never know. Lastly we need to thank everyone for the lesson this helps us teach our boys, Kyleigh’s brothers. There’s power in multiples that is often times very difficult to teach. Sports is one attempt, but the pursuit of perfection and the pressure of competition diminishes the lesson of working together as a team. Every one of you is helping us to raise our boys to show them the purpose of life is not self-centeredness, but it’s what we do for others that makes a lasting impact.